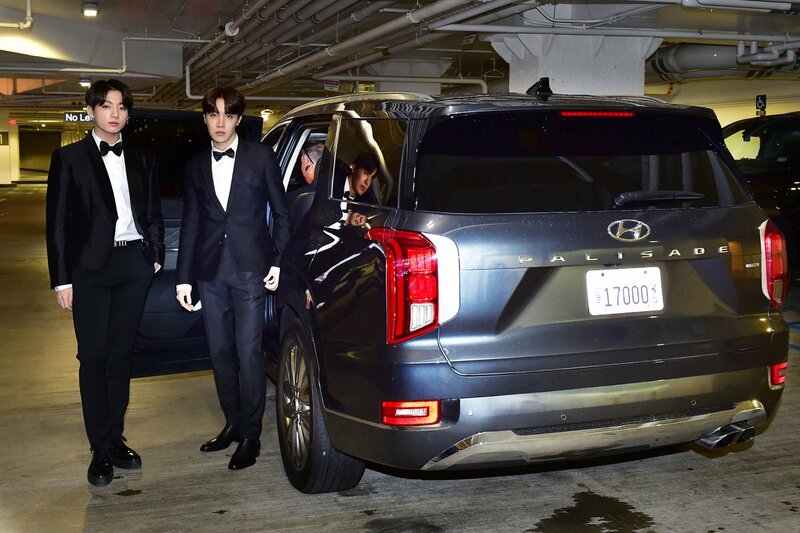 Kpop Herald's tweet - "#BTS bandmates pose with #HyundaiPalisade before their Grammy debut. 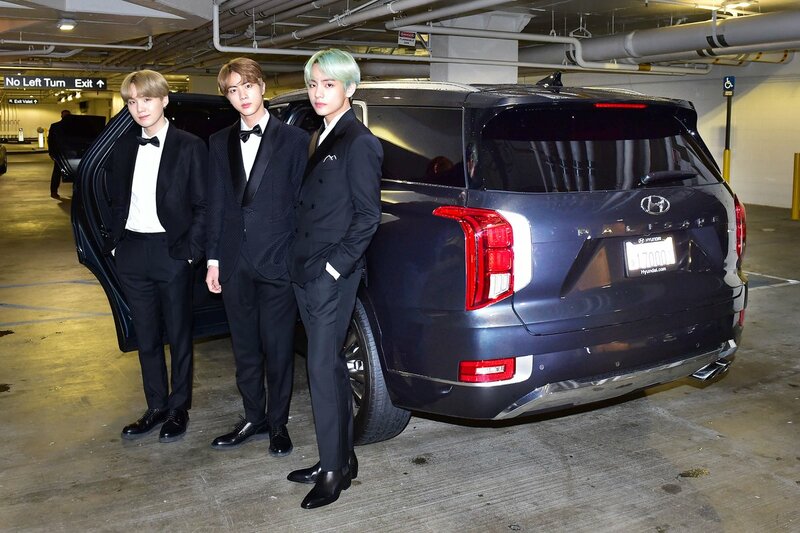 @BTS_twt #BTSxGrammys @bts_bighit #BTSGRAMMYS #BTSGrammy #TearItUpBTS #HyundaiPalisade "
#BTS bandmates pose with #HyundaiPalisade before their Grammy debut. "#BTS posano con il #HyundaiPalisade prima del loro debutto ai GRAMMY. @BTS_twt #BTSxGrammys @bts_bighit #BTSGRAMMYS #BTSGrammy #TearItUpBTS #HyundaiPalisade "
Ellos le tiran el trabajo a todos los modelos, ellos son LOS MODELOS SUPERIORES, KINGS. Every one of them models, but wooow 제이홉! What a look! And Yoongi too! The boys are beautiful. What do YOU do successfully?? 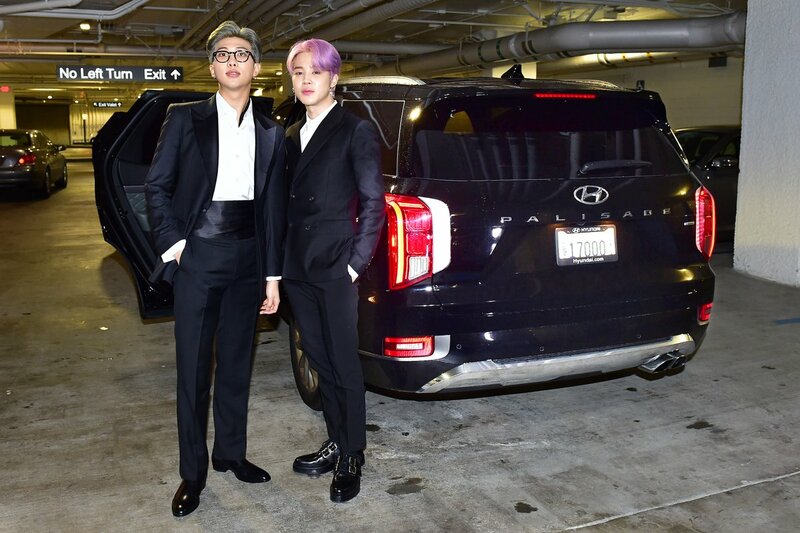 #BTS posam com o #HyundaiPalisade antes de sua estreia no Grammy. Woah who’s that in the green hair? Dad + jimin, mom+JK, grandma and grandpa + taetae!!! kings of promotion kings of brand ambassadors! Ambassors of Korea, in Korea suits, in front of the car they're ambassadors for. @BTS_twt only. THEY WENT IN ON THE PALISADE???? I can't buy a car but I need the 7 drivers. ON GOD??? MINJOON AND HOPEKOOK NATION!!! I STILLL CANT HAHAHAH BELIEVE THAT THEY BROUGHT 3 PALISADES WHEN THEY CAAAN FIT IN ONE AIBXUBAUQBZ RICH KINGS!! U LOOK GOOD KINGS!! U LOOK GOOD! !